A well-regarded senior junior who represents clients in a broad range of cases arising out of serious injury and fatal accidents. Many of his cases are to do with transport. "He is very, very able." "He is straightforward and tells it how it is, which is an advantage in our business." "Very experienced, very knowledgeable and easy to work with." "He is tenacious in striving to achieve the very best result for his clients. He instils utmost confidence in both the legal team and clients alike." "He has a wealth of experience in catastrophic injury cases." 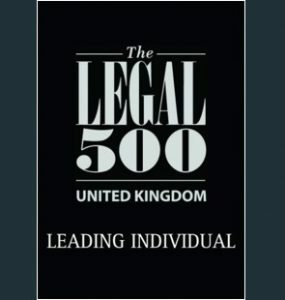 ...has expertise in catastrophic injury cases resulting from road traffic accidents. "He is adept at handling all serious personal injury matters." A highly experienced senior junior who garners plaudits from commentators for his robust approach and experience. He acts primarily on cases involving catastrophic injury and fatal accidents. "He is down to earth, client-friendly, has excellent knowledge of the law and gives good guidance on strategy." "You always want him on your side; he's fearsome." "Good on technical issues and a good advocate." Lauded for his tough demeanour in court and negotiation. He handles a range of catastrophic personal injury cases, including brain injury cases and fatal accidents. "He is a terrifying advocate - you always want him on your side." "He is very experienced, and you can always be confident that he will be good with clients." Strong on high value personal injury matters. 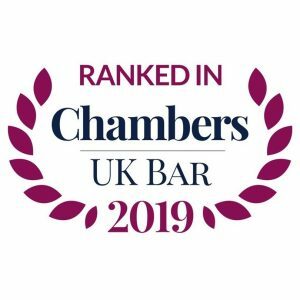 Recommended in particular for his ability with claims relating to heavy goods vehicles, and on claims involving fatalities and brain injuries. "He's very good on technical issues with very complex evidence to digest. He's a robust advocate." Recommended for high-value personal injury instructions. 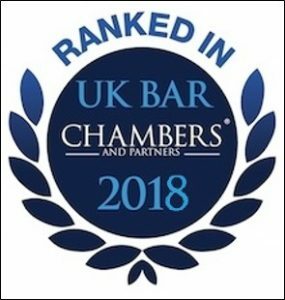 Described as ‘robust’ and ‘formidable’, Mark Laprell is one of the most respected and utilised serious personal injury barristers on the Northern Circuit. He is meticulous, considered and exceptionally intelligent. Mark’s work includes the most serious personal injury matters; limb loss, paralysis and fatalities. His additional ‘Road Transport Law’ specialisation provides invaluable insight into road traffic incidents which have led to him being instructed in a number of high profile cases.